You will be prompted to login if you aren't already logged in. 4. 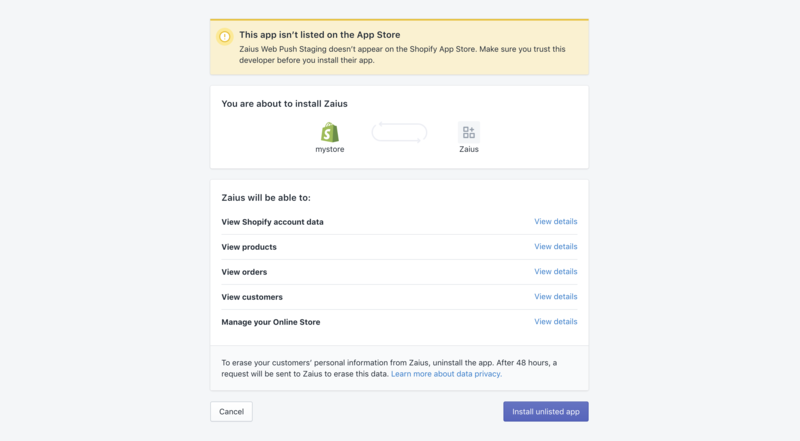 Grant permission for Zaius to import your Shopify data by clicking "Install unlisted app"
5. 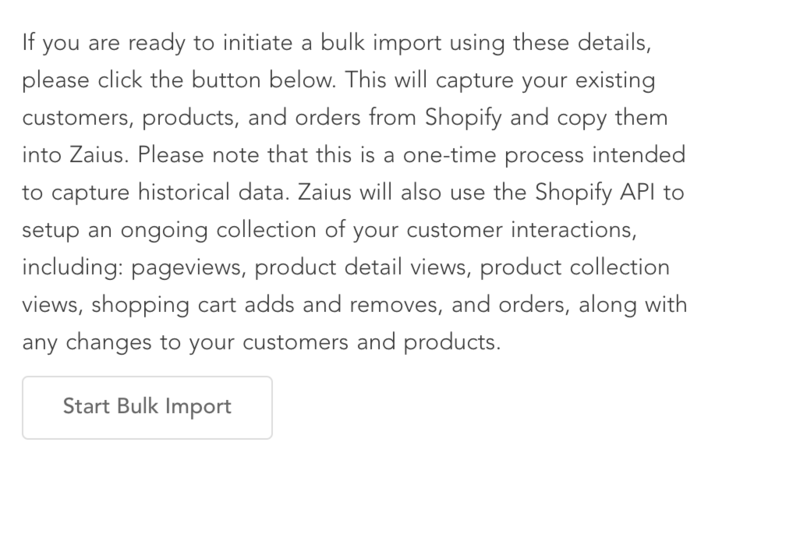 Import historical data by clicking "Start Bulk Import"
2. You will see a banner prompting you to upgrade. Select "Upgrade"